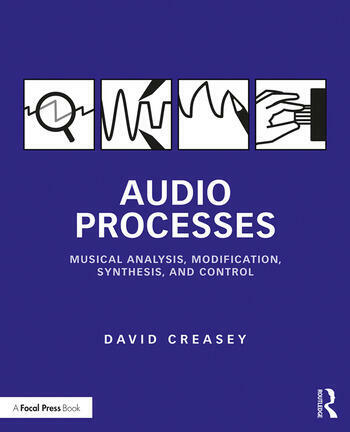 Designed for music technology students, enthusiasts, and professionals, Audio Processes: Musical Analysis, Modification, Synthesis, and Control describes the practical design of audio processes, with a step-by-step approach from basic concepts all the way to sophisticated effects and synthesizers. The themes of analysis, modification, synthesis, and control are covered in an accessible manner and without requiring extensive mathematical skills. The order of material aids the progressive accumulation of understanding, but topics are sufficiently contained that those with prior experience can read individual chapters directly. Extensively supported with block diagrams, algorithms, and audio plots, the ideas and designs are applicable to a wide variety of contexts. The presentation style enables readers to create their own implementations, whatever their preferred programming language or environment. The designs described are practical and extensible, providing a platform for the creation of professional quality results for many different audio applications. There is an accompanying website (www.routledge.com/cw/creasey), which provides further material and examples, to support the book and aid in process development. A comprehensive range of audio processes, both popular and less well known, extensively supported with block diagrams and other easily understood visual forms. Detailed descriptions suitable for readers who are new to the subject, and ideas to inspire those with more experience. Designs for a wide range of audio contexts that are easily implemented in visual dataflow environments, as well as conventional programming languages. Dr David Creasey is a Senior Lecturer in Music Technology at the University of the West of England, Bristol. He has taught audio process design and implementation for more than a decade, utilising a number of different programming languages and environments. He previously worked as a software developer, and has been creating electronic circuits and software for audio for more than twenty-five years.